I’m ready for fall – for soups and casseroles and hearty, filling salads. 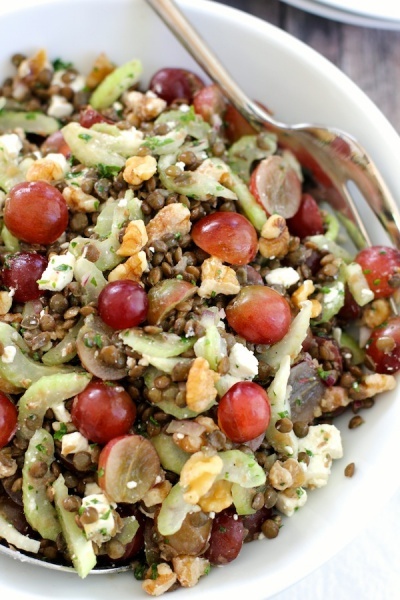 Like this lentil salad with grapes, walnuts and feta. It has a lot of flavor going on – loaded with earthy lentils, sweet grapes, crunchy walnuts and salty feta. This is a quick and easy salad to make that’s filling and packed with protein.